296 pages. 275x215mm. Printed on gloss art paper, casebound with printed board covers. Sir Walter Scott once described Perthshire as ‘the most varied and the most beautiful’ county in Scotland. Within Perthshire, Strathearn fully merits this accolade, with Upper Strathearn renowned as a tourist destination, and the lower reaches being a rich agricultural area. 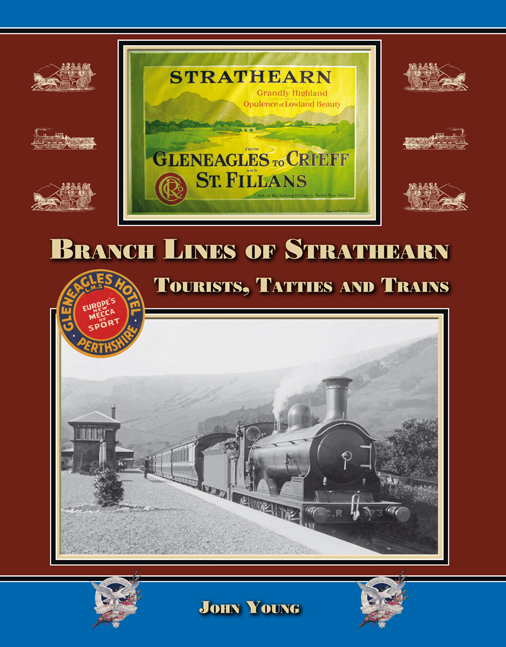 For over a century, the branch lines of Strathearn were an integral part of this district. This comprehensive history of those lines is the culmination of research over fifty years, drawing on many original documents and contemporary accounts. Lavishly illustrated with nearly 300 photographs, many never previously published, and over 200 other illustrations, it traces the development of these branch lines from the opening of the Crieff Junction Railway in 1856 to the closure of the last section of line in 1967. This book also details the part these railways played in the development of the district and the communities they served, including a chapter on Gleneagles Hotel, all of which will be of interest to the general reader as well as the railway enthusiast. 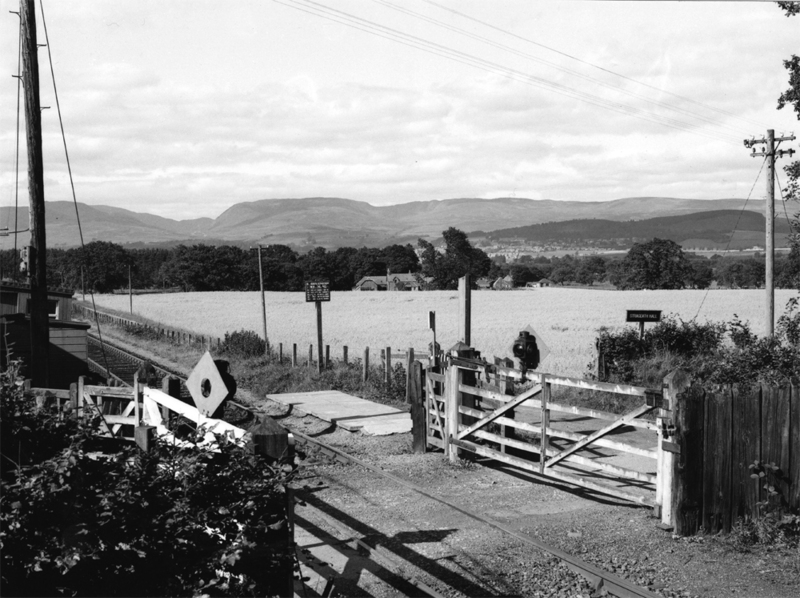 Strageath level crossing and halt, with Crieff and the Grampians in the distance. This crossing over a minor road only a mile from the village of Muthill was operated by a crossing keeper. 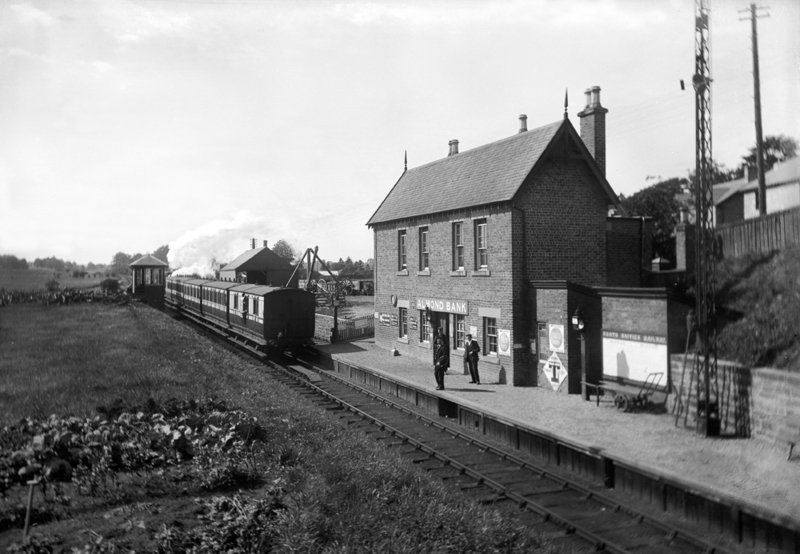 With the introduction of the railbus in 1958, it was selected as the site for a halt as it was closer to the village. The facilities provided amounted to no more than the concrete slabs which can be seen to the left of the far crossing gate. Later a set of wooden steps were provided for use with conventional carriages if the railbus broke down, which it often did. The trespass notice, which is still of LM&SR vintage, has beenvre-sited beyond the new platform.